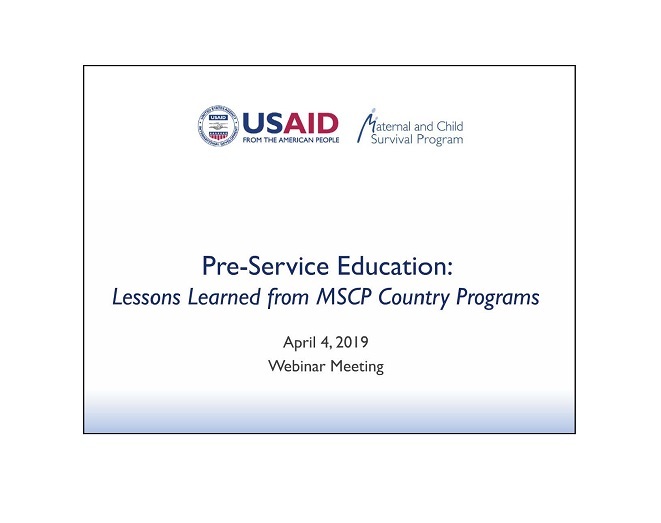 On April 4th, MCSP hosted the second of a two-part webinar series to share the Program’s global and country-level learning for human capacity development efforts. Entitled “Nothing gets transformed until your mind is transformed,” the webinar focused on transformative approaches to strengthening pre-service education strengthening in Ghana, Kenya and Liberia. Strong pre-service education systems are critical for producing a fit-for-purpose health workforce. The Lancet commission’s report — entitled Health Professionals for a New Century — and the 2016 report from the United Nations High-Level Commission on Health Employment and Economic Growth both call out the need for transforming pre-service education. The event included time for audience questions on implementing priority interventions — from strengthening curriculum and practice, to integrating digital technology and strengthening academic leadership and management. To view the recording, click here.